The last time I was in the hospital, the doctors executed an MRI. I am secondary progressive and my current neurologist has not ordered a routine MRI in a while. Personally, I think it’s because there are no drugs approve specifically for progressive patients. When my doctor received my results from my hospital visit, he quickly ordered another repeat MRI because he saw something abnormal. I was worried and my fears came to fruition when he informed me I had enhanced lesions on my brain. He suggested a medication change and gave me a few days to do some research and think about it. The most surprising thing I learned was the new maintenance medication he suggested is also used to treat certain types of cancer. A couple of days later, I agreed to the treatment and set up my first infusion session. I reported to my local hospital’s infusion room and I was there from 8AM until 5:30 PM. Yes, 9 hours! 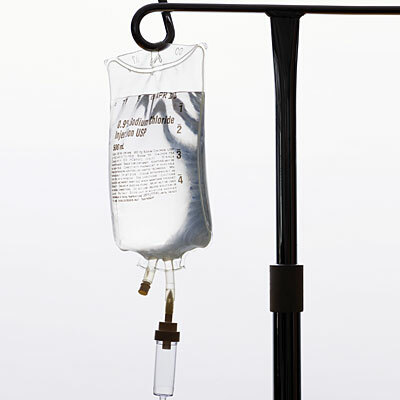 The medicine is administered through IV infusion. Luckily, it is only once every 6 months. Besides being bored, everything went smooth. Changing treatments is routinely done in multiple sclerosis. I know many people who have been on various drugs. This is especially true for those who have a more progressive form of MS. But I don’t know of many MS patients on this particular treatment. That worried me, but I still pressed forward. I just really hope this works because the whole changing medicine again thing has taken a lot out of me. Hi! I just started the same therapy (Rituxan). How did it go for you? Did you see any improvement? Side effects? I hope it worked for you. I went on the steroid drip in the hospital 26 years ago to address kaleidoscope vision…I had a bad reaction to steroids…lost my eyesight completely…and eventually worked through the episode without steroids. It took bout a year to completely get my eyesight back. That ended up being a blessing. I found neurologists don’t listen to you but talk at you. I learned you would make it thru an episode without steroids…just takes a little longer. I would focus on what I could do and they episodes just faded away. After I had MS about 9 or 10 years, the first medications for RRMS came along. I decided to wait and watch how my friends did with MS when taking the shots. I was doing so well and my friends all quit their jobs and focused on their MS and medicine side effects. All the medications for MS are immune suppressants. I just never took them. I worked 20 years as a stock broker with MS and most people never realized I had MS. I was told about 10 years ago that if you don’t start the drugs within the first month of being diagnosed, they won’t be as effective if at all. Since none of the drugs were developed until years later…I guess I may have made the right decision…but then it just may have been a scare tactic used by the pharmaceuticals to get people on their drugs. Studies have been done that demonstrate that NO drug has changed the life cycle of this disease. I hear so much on this post about drugs…and people changing their drugs…but why do the keep changing? They are not getting the help they need and they get desperate. The only help I have gotten has been thru Dr. Damadian and Dr. Rosa in NY. They feel MS is caused by head and /or neck trauma that damages the flow of CSF thru the cervical spine creating too much CSF pressure in the brain…leading to leakage of CSF from the ventricles in the brain…and restriction of blood flow. After I was noninvasively aligned by Dr. Rosa, I got my eyesight back and feeling back in my abdomen and fingers. I can drive again, I no longer have chronic constipation, I have not had a bladder infection in 15 months, can form a whistle for the first time in 25 years and can put my own earrings in. AND all this happened after I was SPMS for 9 years. I am also following Dr. Broeska in Canada, CEO of Regenetek. He is doing stem cell in combination with CCSVI…and his results are truly remarkable. Even people with ALS are getting help with his protocols. I guess I just am not programmed to take a pill let alone shots. I can only say that I wish you all the very best. I have been told i am now secondry and i feel like i’ve been given up on! i take nothing at the moment and haven;t been offered anything it’s like oh you’re secondry there’s nothing more we can do! trying to help myself with vitamins, i hope the drugs work for you. Susanne I feel the same way. I wish and hope we can stay in touch and be each other support system. The only way we can get through this is to know that we are not alone. I do hear that a lot of people are taking the same drug my neurologist prescribed for me. Rituzan. what other choice do I have? I am a first time poster on your blog. I’ve had MS 30 years and SP for about 7. Must admit my heart sank when you said Novantrone-So much happier it is Rituxan. Though the dosing schedule at my MS clinic for Rituxan is 2 infusions two weeks apart and then another one 6 months later. I have been on intrathecal methotrexate for the past 2 years-can’t say it’s done any good, but no harm either. Please make sure they test you for the JC virus. I wish you the best-this drug does great things for many MSers! BTW, active lesions are not a bad thing-they are an avenue for improvement and give you more drug options. I haven’t had any for 7 years-just straight downhill spiral. I wrote Novantrone but I am really on Rituxan. I blame my MS brain. Am wondering what your new med is. I am also SPMS and have berns on tysabri for a year now. Not sure what will be up next!? The manufacturer of Tysabri does not recommend their own drug for SPMS. They also don’t rec it for more than 2 years for RRMS. Many neurologists still prescribe it. I would ask your neurologist why? I pray that the infusion will be effective! I agree with Shari as there are many of us out here who truly care about you and look forward to your blogs . Nicole, you are without a doubt the most courageous person I know. I ”ve been reading your blogs and I’ve seen all your pics on FB ( over &over). You are a vivid storyteller . I feel like I am in the room with you, feeling what you are experiencing. That tells me you are not only speaking for yourself but for others with MS whom are unable to speak up. You see a brave lady with a smile always present. Even when you are not well you still put on a brave face . I hope this med is what you need to bring you through this next phase of your life. Keep your faith and keep writing, your work is touching many lives. Tell my nephew he is doing a great job, he loves you dearly it is obvious. You both are in our prayers, love y’all, stay strong!!! Mary, I’m flattered that you even read my blog thanks so much for responding yes Tommy is a huge help around here! Hi Nicole, Just remember Nicole that there are a lot of friends out there who are sincerely pulling for you as you start this new treatment, many know the uncertainty that you are feeling and are conncected to you in a way, that only those who have been there can understand. Whether virtual or not they are real and we do care and wish you the very best, hopefully it will usher in better health in the long run, keep in mind that you are not alone even in your aloneness. Wishing you the very best. 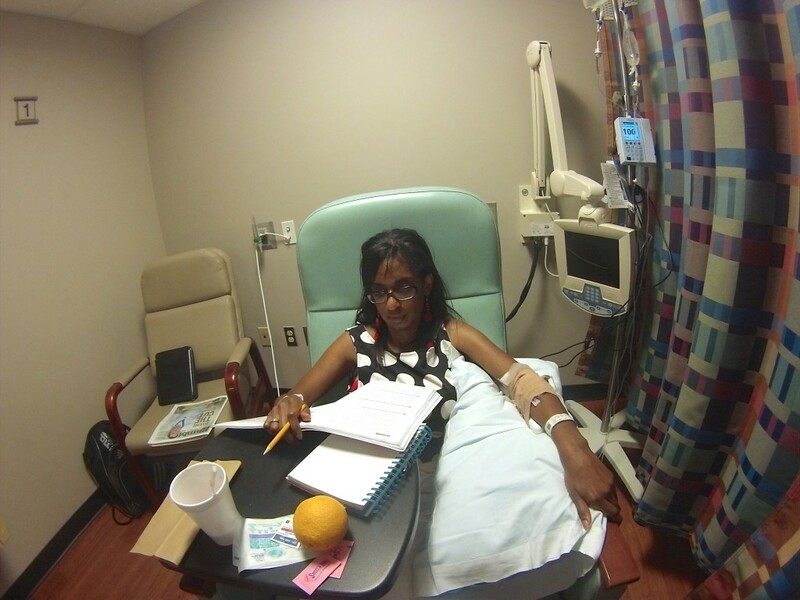 Good luck, Nicole..I recently started a clinical trial for BAF312, an oral med for SPMS. I am curious, what med are you trying? As you know, there are not a lot of options for SPMS. Please keep us posted as how the new medication is working. I hope that it works well for you! Take care of yourself. I was wondering what is the name of the meds you are having infused. And also wanted to wish great results from this drug! Yikes, 9 hours! But it looks like you had lots with you to make the hours go faster! I hope this new medicine works for you! I have only had one medicine… only had MS a little over 3 years now. I can’t imagine working through a new medicine. The first was stressful enough! Keep fighting Nicole! You’ll do great!